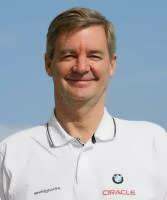 Tom Ehman introduces himself, in his affidavit, as Head of External Affairs for BMW ORACLE Racing and one of the team's representatives in talks and negotiations with other teams and regatta officials. He goes onto say that he has been involved with every America's Cup event, since 1980, and has served in many roles, including rules advisor, team manager, marketing consultant, Organizing Committee Executive, Challenger of Record Manager, Challenger Commission Chairman and Class Rule Commission Co-Chairman. The first points of Tom Ehman’s affidavit mainly cover already established and published information, such as the Deed of Gift wording, concerning yacht clubs, and the fact that, on July 11, 2007, Melinda Erkelens and himself, as Golden Gate Yacht Club representatives, hand delivered to the Société Nautique de Genève Secretary General, at the SNG clubhouse in Geneva, “a valid formal challenge, dated July 11, 2007, to sail the 33rd America's Cup match in accordance with the terms and conditions of the Deed of Gift. Ehman goes on to say " At the same time that we delivered the GGYC challenge, we delivered a letter from Marcus Young, Commodore of GGYC, and Norbert Bajurin, Staff Commodore of GGYC, to the President of SNG, dated July 11, 2007, that disputed the validity of the CNEV challenge. This letter accurately states that, among other deficiencies, the challenge is not from a bonafide yacht club, but from an entity organized in the form of a yacht club only a few days before the challenge was accepted by SNG and which has never had an annual regatta on an open water course on the sea or an arm of the sea as required by the Deed of Gift." SNG, Ehman reveals, rejected GGYC's challenge on July 23, 2007, in a letter addressed to GGYC's Commodore from SNG's Vice-commodore, Fred Meyer, and Central Committee Member, Jean-Claude Rey. 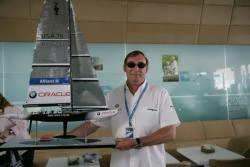 He then goes on to say that, in order to preserve its ability to compete with SNG, in a match in July 2008, GGYC's racing representative BMW ORACLE Racing has already incurred significant costs. Ehman says " These preparations have and will include hiring design personnel, leasing a boatbuilding facility, sourcing and purchasing large amounts of raw building materials (including carbon fiber), seeking sponsorships, arranging for base operations at the race site, hiring sailors and training at the race site. As these require significant ongoing and future financial commitments, GGYC's rights to participate in that race must be determined. In particular, GGYC needs to know the sailing rules and the location of the race. Ehman then comes to the question of other potential competitors, saying that they also need to know whether the 33rd America's Cup will be held under the conditions established in the one-sided Protocol published by SNG and Club Nautico Espanol de Vela, or under conditions established in a Protocol to be negotiated by GGYC, or whether it will be a match solely between the vessels representing SNG and GGYC, in July of 2008. 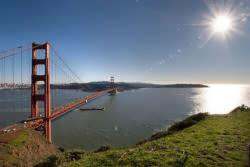 He points out that these prospective contestants, for the next America's Cup elimination series, need to commence preparations and notes that SNG is soliciting and accepting challengers for the match prescribed in the Protocol with CNEV. Item 17 to 46 of Ehman’s affidavit do not add any significant new information, since they cover the well established facts that Desafio Espanol was entered in the 32nd America’s Cup by the Spanish Sailing Federation, that CNEV was formed shortly before Alinghi won the America’s Cup and that it has never held an annual regatta on the sea. Nobody, including CNEV denies this. Again there is nothing really new here, as Ehman treads well covered ground relating to the BMW Oracle view that, amongst other things: SNG, as defender, and CNEV, as purported challenger, did not comply with the mutual consent provisions of the Deed of Gift; SNG, through its control of ACM, enjoys near exclusive power over the next America's Cup contest; SNG, through ACM, has the sole discretion to accept or reject the entry of any challenger, possesses the almost exclusive power to appoint the Race Committee, Measurement Committee, Umpires, and "other necessary persons," is empowered-at its discretion and at a time of its choosing-to specify the class of boat that will race, but must only provide 18 months notice of these rules to the challengers, enjoys the power to amend the competition regulations without any constraint on timing, and grants itself the right to participate in the challenger matches without any fear of elimination. It is not until item 51 that the Ehman affidavit would make any jaded follower of this saga sit up, but what follows is a real bombshell. 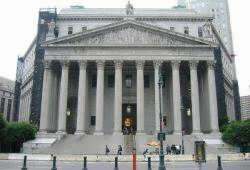 He says: " Using its unfettered powers under the Protocol, SNG has devised two schemes to escape adjudication of this dispute by the New York courts. Its first scheme, I have heard, relies upon a provision in the Deed of Gift which states that if a 'Club holding the Cup be for any cause dissolved, the Cup shall be transferred to some Club of the same nationality, but, in the event of the failure of such transfer within three months after such dissolution, such Cup shall revert to the preceding Club holding the same.' I have heard that SNG has considered resigning as trustee and refraining from transferring the Cup to another Swiss yacht club within three months. It would then invoke the above quoted provision as a basis for returning the Cup to the preceding trustee, the Royal New Zealand Yacht Squadron ("RNZYS"). 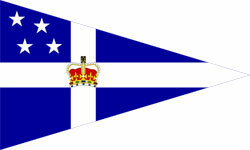 In turn, RNZYS would accept SNG as the challenger of record and decline, or ignore, GGYC's challenge of July 11, 2008. Such a gambit would, of course, violate the Deed of Gift." Until notification from Henry Peter, GGYC did not even know he was on the panel and, at that time, GGYC also did know the identity of the other two arbitrators. Only after GGYC complained about SNG's secrecy in a letter from James V. Kearney, counsel to GGYC, to Henry Peter, dated July 27,2007, were the identities of other arbitrators revealed. SNG, acting through Alinghi, sought to keep the proceedings "confidential and confined only to the parties taking part in the case." Ehman goes on: " Accordingly, GGYC's July 27, 2007 letter to Henry Peter notified SNG that the 'arbitration' violates the most basic principles of justice and independence and that GGYC would not participate in the 'arbitration'." Among other things, that letter points out that the Mercury Bay opinion held that New York courts have the authority to interpret the trust instrument, the Deed of Gift, and determine whether a successor trustee, in this case SNG, has complied with its terms. Indeed, the Mercury Bay opinion refers to amicus briefs submitted jointly on behalf of "renowned yachtsmen from the United States, Great Britain and Australia and yacht clubs of undisputed standing" for the proposition that the court has jurisdiction over the administration of the Deed of Gift. Further, the letter reminded Henry Peter, the chairman of the 'arbitration' panel that in his book, entitled Arbitration in the America's Cup, he concedes that the "New York Supreme Court has jurisdiction over the Deed of Gift" to decide upon the "interpretation of the deed of gift" and whether a "challenge was valid." Ehman ends by saying: "The letter explains that it offends basic notions of justice that one side to a dispute, SNG and CNEV collectively, would retain hegemonic control over an adjudicatory panel and its proceedings, while the other side remains powerless. Indeed, the issue of whether CNEV is a legitimate challenger is not contested by CNEV and SNG, as evidenced by CNEV's recent submission to the court, and their masquerading as adversaries while the real adversaries are rendered impotent is not a legitimate legal proceeding, but rather a mockery of justice. Civilized countries have long done away with such tribunals and no legitimate arbitration panel would agree to operate under these conditions."